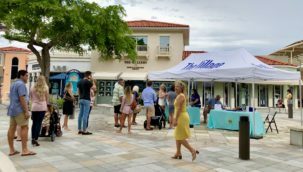 Over the weekend, The Village Shops hosted its first ever Wine Around The Water event, with 100% of the proceeds benefitting Golisano Children’s Museum of Naples. 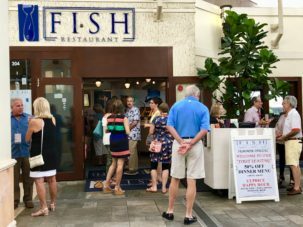 The word spread quickly around town and by 5pm Naples’ wine lovers and philanthropists formed lines waiting to check-in to the event. 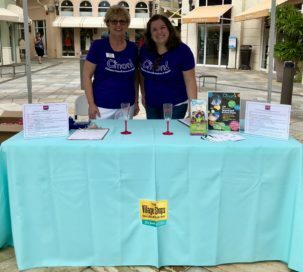 The Golisano Children’s Museum of Naples’ employees and volunteers were all smiles, checking in guests and providing more information about the event and their organization. 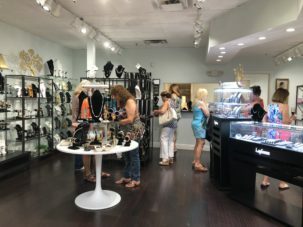 For only $20, guests received 20+ wine samples, a pink Village Shops wine glass, passport, and exclusive discounts to the shops and restaurants. 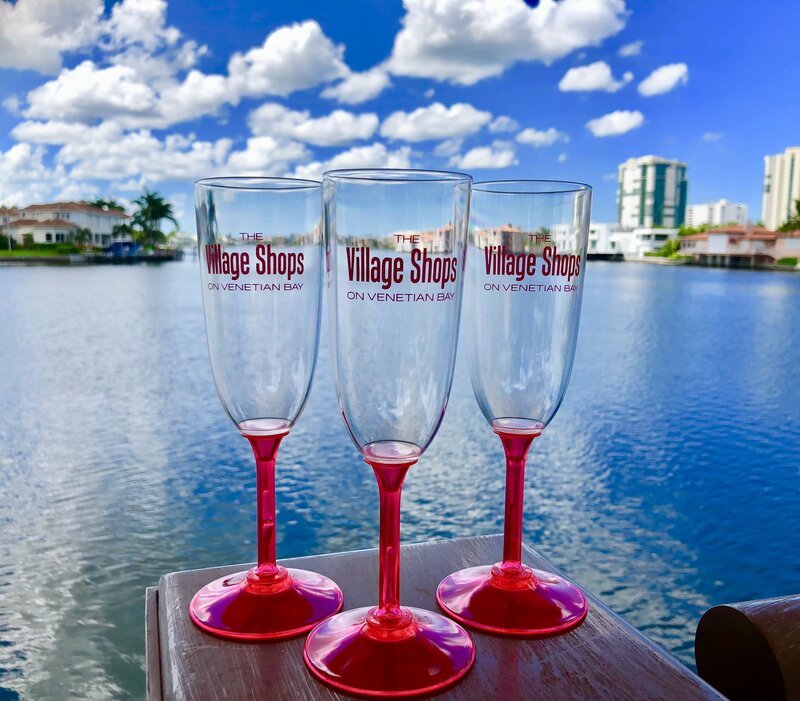 The Village Shops restaurants and retailers provided a wide offering of red, white, and pink wines! There were samples of Prosecco, Rosé, and more…variety to appease all palates. However, the wine wasn’t the only source of excitement in the stores. 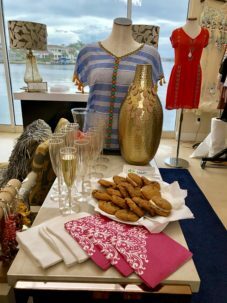 The retailers created beautiful in-store displays showcasing their favorite designs and must-have items. 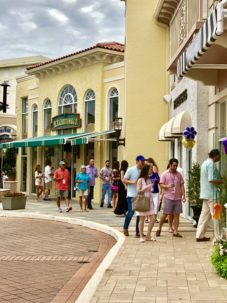 The number of shopping bags continued to grow as guests strolled from shop to shop. Fun and laughter was captured throughout the night at the photo booth. Friends, families, and couples gathered holding wine related props. They received print and email photos to commemorate a night of wonderful wine, waterfront views, and great company. As the event came to an end, our six waterfront restaurant filled. Guests took advantage of exclusive discounts and enjoyed more wine, delicious dinner, and breathtaking views. Thank you to all who came out to enjoy Wine Around The Water and support a worthy cause. 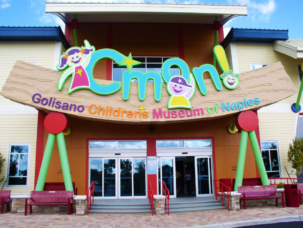 With your help, over $5,000 was donated to Golisano Children’s Museum of Naples to help continue to provide an exciting, inspiring environment where children and their families play, learn and dream together.